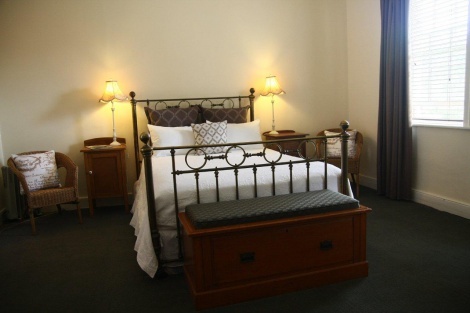 Each Queen Room has a HDTV/DVD player, wool blankets, iron and ironing board, a hairdryer and an ensuite with shower. The Globe Inn is centrally heated and there are individual heaters and ceiling fans. The bed linen is cotton and the pillows and doonas are feather.